The students from Girona want to find friends! 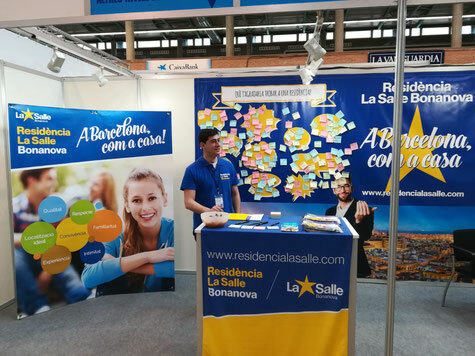 From April 11th to 14th, La Salle Bonanova Residence was at the Fira Expojove, a space to guide students towards their training and their future work. As a proposal for accommodation for those who leave Girona and choose Barcelona, many students have come to see what it means to live in a residence. When we ask them what they would like to find in a residence, many have made the key aspect of making new friendships. In addition, they also asked for very specific issues, such as a nightclub, a hairdresser, and even a dining room where they serve grandma's macaroni!